Summer is the number one time for families to enjoy each other while on vacation. However, with tight budgets and tight work schedules many families opt to take a staycation. Our family loves to take mini-staycations each year. Since we don’t have to worry about the expense of travel and a hotel stay, there is more wiggle-room for splurges. Yay for splurges! Here are some tips on how to plan your next staycation. Flexibility is key, but a plan is a must for optimal staycation enjoyment! I admit it. I am a planner. I just think everyone has more fun when you take time to think things through and formulate a game plan. NOT having a plan may sound spontaneous and cool for a staycation, but after dealing with so many what do you want to do today, I don’t know what do you want to do conversations a plan will be appreciated by all. Research activities and restaurants beforehand and plan out a basic guideline for each day. Perhaps pay for a cleaning service to come on and get your house in tip-top shape before the staycation. You will also want to shop for the food you need beforehand so you’re not running too many errands during your days. The great thing about a staycation is that you have a full kitchen at your disposal! 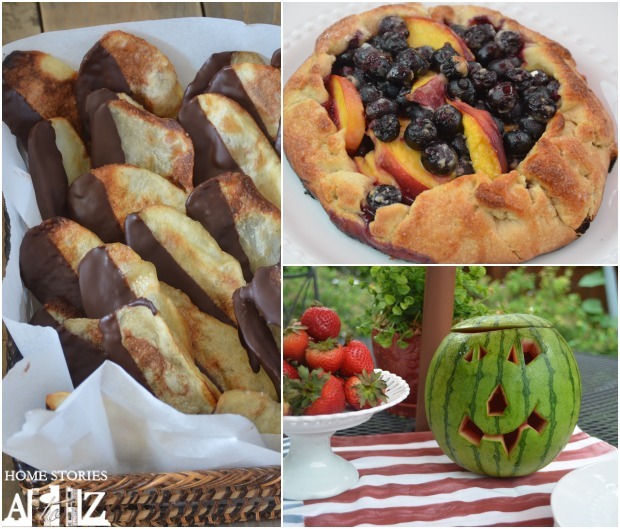 Plan on making a few special treats for everyone to enjoy. S’mores in the backyard are a must! Staycations are not as fun if everyone is constantly plugged into their phones, gaming devices, and laptops. I’m happily addicted to technology, so I would suggest turning off phone notifications on your social media and email so you won’t be tempted to answer work-related questions during staycation activities. I have a perfect example of this. A few weeks ago we splurged on a kayak rental day trip with the kids. I brought my phone to take pics. As I was taking pictures and posting on instagram, a work-related notification popped up that seemed pressing. It was a challenging situation that really could have waited but dealing with it put me in a horrible mood that weighed on my mind and impacted the serenity of my family trip. It was a good reminder to turn off notifications! 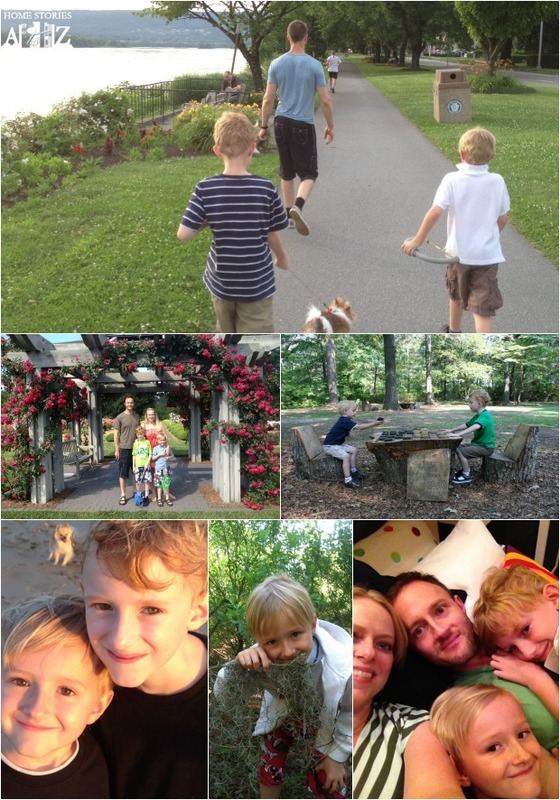 Our family loves to explore new parks and eat at new restaurants. Google “things to do in (your city)” and “best restaurants in (your city)” to find some new hidden gems. You can also use your social media network to ask others in your area for recommendations. We are getting ready to take another mini-staycation in a few weeks for Asher’s birthday. 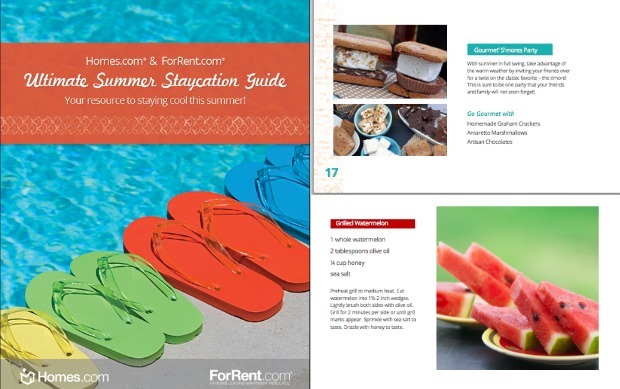 For more helpful tips on how to create a memorable staycation for you and your family, check out the helpful e-guide that Homes.com put together for us. I recommend downloading the guide even if you’re not staycationing this year. The Ultimate Summer Staycation Guide is great for gaining some more summer family activity ideas. In addition to staycationing, we all know that summer is a great time to complete all of your DIY projects. Homes.com wants to help jump start your summer fun by giving one of my readers a $100 Target gift card! 2. Pin any idea from the Homes.com blog idea gallery that you would like to do this summer—perhaps a DIY project, party idea, buying or selling your home, etc. 3. Paste the URL of your pin into the Rafflecopter widget below. 4. For additional entries, follow the rafflecopter prompts below. Good luck and happy staycationing! wow would love to try grilled watermellon. I want to Camp out in my backyard. I’d like to try the fizzy citrus punch! Yum! I’ve never grilled watermelon! I’ll have to try! Love the movie night idea with the popcorn bar and the homemade gourmet smores!! Popcorn bar sounds like a great time! Oh I love the Movie Night and Popcorn bar idea in the Staycation Guide! They have so many neat ideas that I would not have thought of too make it fun! we are moving across the country and into our first house this summer, so we are not taking a real vacation and are having fun thrift shopping, going to flea markets, and refinishing furniture…while some may not consider that a vacation, we enjoy it. The movie night at home is something we do frequently, but it would be fun to make it more elaborate. I’m going to do the movie night and popcorn bar, my kids will love it! The Movie Night and Popcorn Bar is super cute! My son would love to have a variety of things to throw on his popcorn! We aren’t going on vacation this year since we are selling our house and will be looking for a new one. Love the tips on how to stage your house. Love the popcorn bar idea. My family would love that! I want to paint some furniture. I like the movies and popcorn! I want to try the Sponge Bombs. The neighborhood kids all like to do water balloon fights. So this would be so much more fun because you could reload faster.. The clean up would also be so much easier. I love the popcorn and movie idea. Its a great way to save money and bond with family. I plan to find lots of activities in my NEW local area. I think a double feature movie night starting with a Grilled Cesar Salad, then Gourmet Smores prior to the second feature! Sounds like a lovely evening! I’ll have to try a couple of different cold drinks/punch also! The Gourmet S’mores Bar sounds fantastic, and would be great for kids and adults alike! We would love to try the backyard camping idea. ooooh a smores party sounds fun!! I think we will try the backyard campout idea! I like the idea of making “fancy” food for a staycation. Thanks for a great giveaway! I would find free activities in my town. I would try the google tip! I like the movie night and popcorn, great for the whole family. I love the idea of camping out in the back yard as a family! I agree–some of the best times we have had have been right here at home or enjoying something local. Even just a cookout with fun picnic food near the river can be memorable. Taking our dog to the local dog park would be a fun family activity for us. It’s been open for a year and we’ve yet to visit it. We are going to try camping in the back yard. I should really use some help finding activities in my city using google! I love the idea of turning phones off and making technology limited! I have 3 toddlers who love movies and phones as much as me and my husband( not sure if that makes me a bad mommy:/) but we could use a break from it all and often! Find local activities and events going on around my town! Our kids love pools so finding a new one to try would be a great idea for a staycation! I’d love to Google things to do in the area. Two items I’d like to do: kayacking and hiking with the family! Oh, we are definitely going to try the sponge bombs this summer! We are planning to have them as an activity at my sons birthday party. We are keeping it small this year, just some family members and a bbq. The kids will be able to play outside all afternoon. And we love grilled caesar salad! Staycations are always great, but so is a nice getaway to another state or country! Love your staycation tips AND blog in general. 🙂 Happy summer! The grilled watermelon sounds amazing!! We moved to a new city 6 months ago and have yet to really explore. Stay-cation it is! I would turn off all electronics and I would love to visit our area parks with my 2 yr old and hubby. Love the Movie & Popcorn night idea – we do this ever winter after the Holiday madness watching all 3 extended versions of the Lord of The Rings trilogy. So excited to add the Hobbit to this years movie madness. We only get Staycations this year as my husband has limited time off due to a new job. I like turning off the electronics. I never realize how distracted they make me until I don’t have them. Ha! That’s what every staycation looks like around here if I’m not careful. Having vacation from home is tricky. Would love to get a projector and watch movies on our garage door. I want to try grilling watermelon – that just sounds interesting! I like the 4th of July ideas they have, like the patriotic rice krispies cake. These are some great ideas. It is a staycation this summer but it will be a lot of fun! I would love to find activities in my city using google, as well as social media. Gourmet Smores Party please. Yummy. Camp out in our backyard! I think the perfect staycation for us is to visit the beach for a few days! We are going to do a backyard campout – can’t wait! Your tip about Googleing stuff to do in your city. I plan to ask folks on FB what other thgouht they have about locations/restaurants/museums. Find activities in my area. Your tip – Google “things to do in (your city)” and “best restaurants in (your city)” to find some new hidden gems. Is a great idea . I also plan to use social media network to ask others in your area for recommendations.